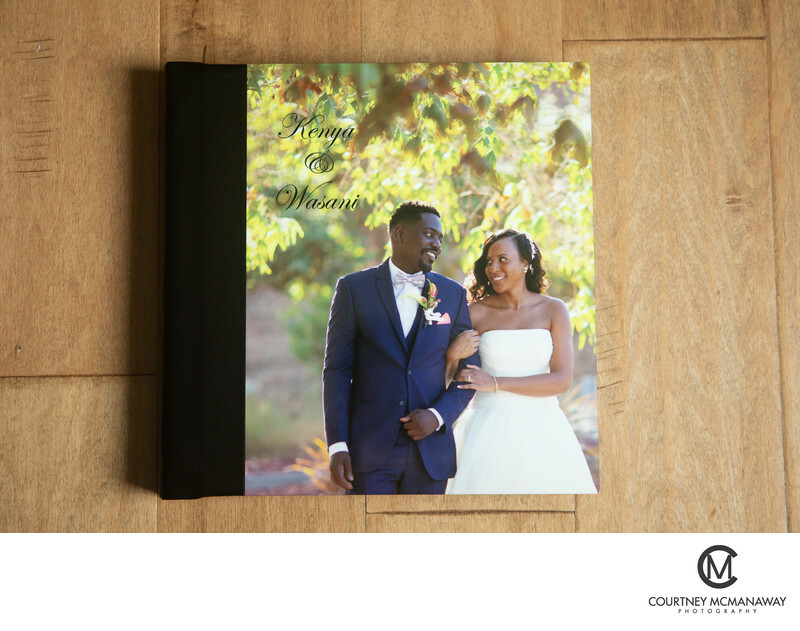 Albums are a beautiful way to enjoy your wedding day images. 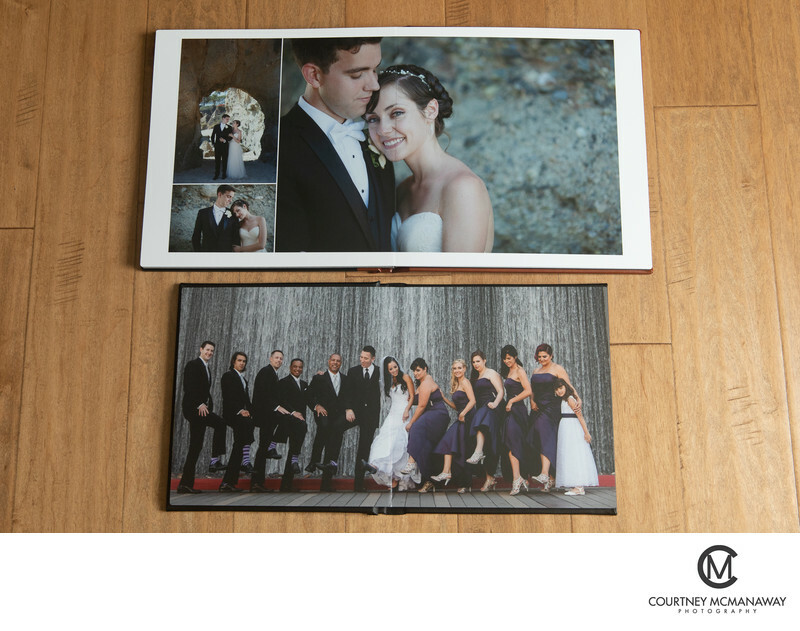 After your wedding day is over, you will receive a large gallery with 600+ images. Speaking from my own experience as a bride, you'll pore over the images excitedly several times, but after that, the images tend to live in your computer. An album allows you to re-experience the emotions of your way in a timeless format. All albums are created by me, with input from the couple. 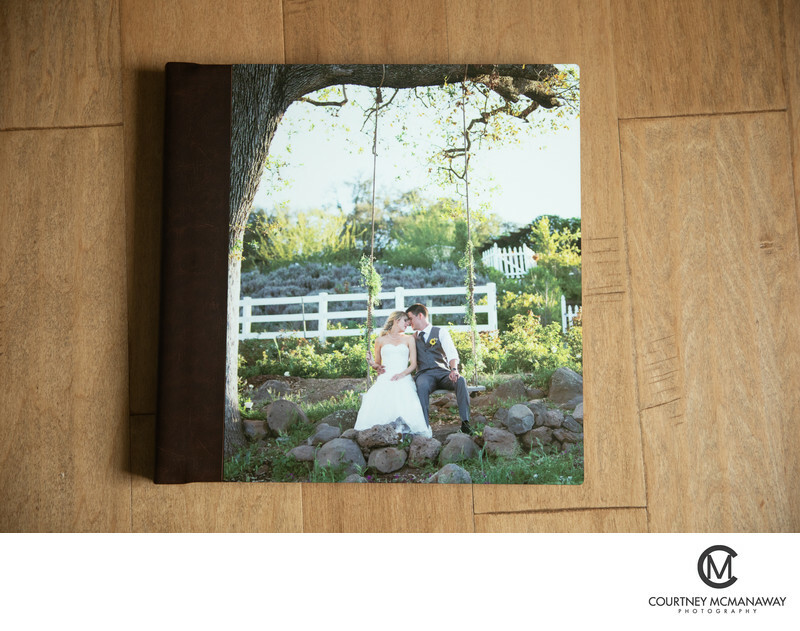 Couples can either select 40 favorites to be included in their album, or opt for me to pre-design the album completely. Once the initial design is complete, couples have the opportunity to swap images and make changes. 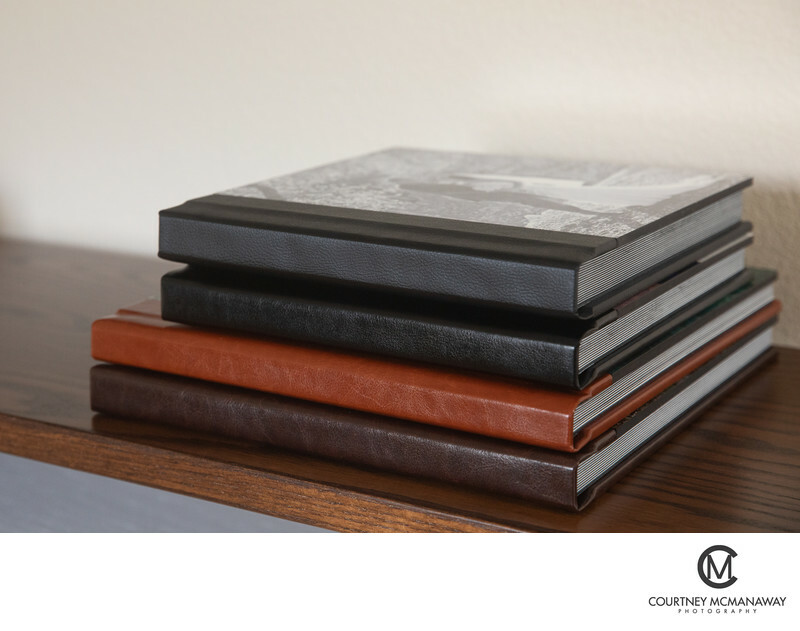 Albums are made with high-quality materials and come with a number of cover choices. 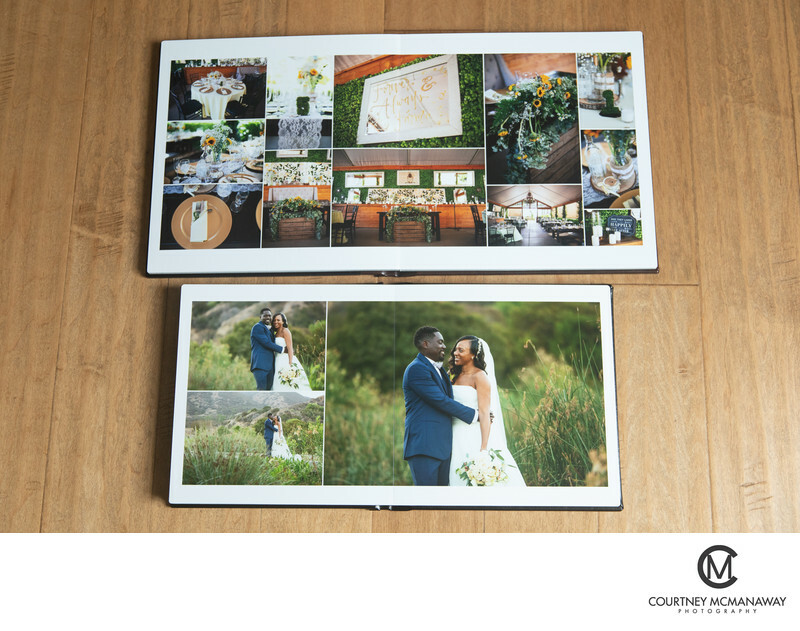 The albums feature lay-flat design and are printed on luster photographic paper. Your album will be an heirloom that you treasure for a lifetime. 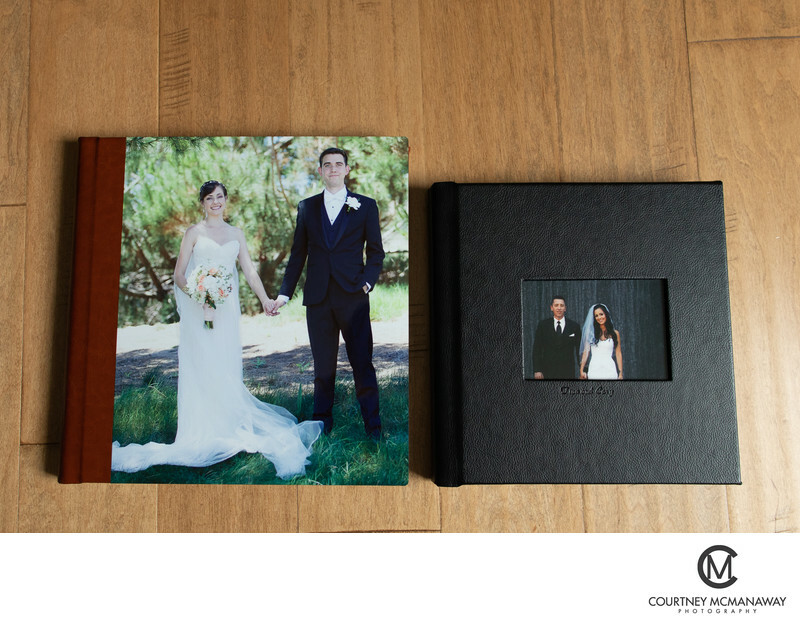 I offer 2 albums sizes: 10x10 and 12x12. Each album comes with 14 spreads. Contact me for pricing!